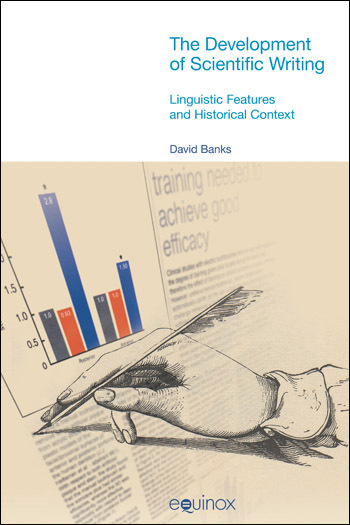 David Banks is Emeritus Professor of English Linguistics at the Université de Bretagne Occidentale, Brest, France. He is a past Director of ERLA (Equipe de Recherche en Linguistique Appliquée) and a past Chairman of AFLSF (Association Française de la Linguistique Systémique Fonctionnelle). His research interests include the synchronic and diachronic analysis of scientific text, and the application of systemic functional linguistics to French. He has published over 80 academic articles and authored or edited over 20 books. His book The Development of Scientific Writing (2008) won the ESSE (European Society for the Study of English) Language and Linguistics Book Award in 2010. This book is one of the first applications of a functional approach to language across time. It first summarizes and evaluates previous studies of the development of scientific language, including Halliday’s exploration of this fascinating topic. It then traces the development of scientific writing as a genre, in terms of its linguistic features, from Chaucer’s Treatise on the Astrolabe (the first technical text written in English) almost to the present. It goes on to consider texts by major scientists of the late seventeenth century, and then analyses and discusses a corpus of texts taken from the Philosophical Transactions of the Royal Society, covering the period 1700 to 1980. The main linguistic features studied are the use of passive forms, first person pronouns, nominalization, and thematic structure. This brings out the interestingly different patterns of development in the physical and biological sciences. It also highlights previously unnoticed effects, such as the influence of mathematical modelling on texts in the physical sciences – though not, interestingly, the biological sciences – from the late nineteenth century onwards. Thus scientific language – like virtually all language – is intimately related to the context (here the ‘field’) within which it is produced. This book traces the development of the scientific journal article as a linguistic genre in terms of its linguistic features. It looks at Chaucer’s Treatise on the Astrolabe as the first technical text written in English. Texts by Boyle, Power and Hooke from the late seventeenth century are then considered. This leads to the detailed analysis of a corpus of texts taken from the Philosophical Transactions of the Royal Society covering the period 1700 to 1980. The main linguistic features studied are passive forms, first person pronouns, nominalization, and thematic structure. From the study of these linguistic features emerges a picture of the development of science in which the physical sciences can be distinguished form the biological. The physical sciences are experimental from the beginning of this period, whereas the biological sciences only begin to become so towards the middle of the nineteenth century; until then they are observational. With the turn of the twentieth century the physical sciences adopt mathematical modelling as their major focus, a feature that has not affected the biological sector by the end of the period under study. Thus it is seen that the language is intimately related to the context within which it is produced. In this chapter, the author begins to trace the origins of scientific writing. In this chapter, the author discusses the history of academic writing between Chaucer’s time, 14th century, and Newton’s time, the 17th century. In this chapter, the author focuses on the influence of the Royal Society to the development of philosophical and scientific thought. This section also reveals how was the life of Isaac Newton, since the early years until when already in Cambridge he started to show great talent to academic research and science. This chapter studies the language of the first pieces of academic writing since the 17th century; the research involves an analysis of the grammar, the verbal tenses used and also the stylistic of the texts. This chapter looks at the increasing use of passives in the Philosophical Transactions Corpus over the period 1700-1980 and also considers passive use in terms of process types which are passivised. In this chapter, the author focuses on analysing samples of scientific writing that adopt a first person pronoun subjects. In this chapter, the author analyses the presence of nominalised processes in scientific papers of the 17th and 18th century. In this chapter, the author focuses on studying the thematic structure in pieces of scientific writing. In this chapter, the author concentrates on exploring the semantic nature of themes in the samples of scientific papers analysed. In this chapter, the author compares the differences in writing styles between the Ancient generations and the Modern, mostly the18th century. 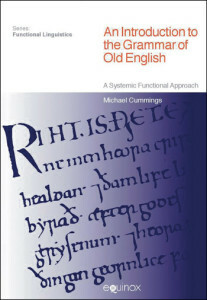 Winner of the European Society for the Study of English Language and Linguistics Book Award 2010 This book is one of the first applications of a functional approach to language across time. 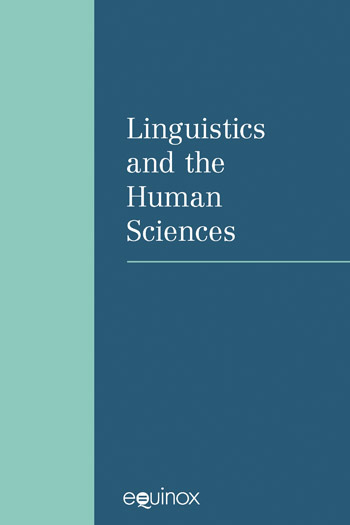 It first summarizes and evaluates previous studies of the development of scientific language, including Halliday’s exploration of this fascinating topic. It then traces the development of scientific writing as a genre, in terms of its linguistic features, from Chaucer’s Treatise on the Astrolabe (the first technical text written in English) almost to the present. It goes on to consider texts by major scientists of the late seventeenth century, and then analyses and discusses a corpus of texts taken from the Philosophical Transactions of the Royal Society, covering the period 1700 to 1980. The main linguistic features studied are the use of passive forms, first person pronouns, nominalization, and thematic structure. This brings out the interestingly different patterns of development in the physical and biological sciences. It also highlights previously unnoticed effects, such as the influence of mathematical modelling on texts in the physical sciences – though not, interestingly, the biological sciences – from the late nineteenth century onwards. Thus scientific language – like virtually all language – is intimately related to the context (here the ‘field’) within which it is produced.